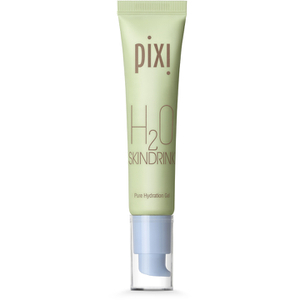 Wake up from your beauty sleep to a balanced skin tone with this Beauty Sleep Cream from PIXI. 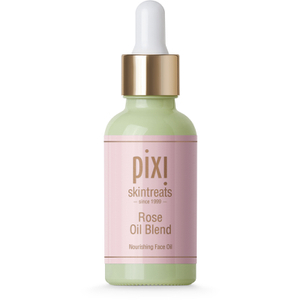 The rich nourishing treatment is fast-absorbing, nutrient-rich and helps to protect, nourish and hydrate the skin while you sleep. Formulated with 100% Natural Mango Butter and Lavender, Lemon and Bergamot Oils, the night cream calms your complexion. – E.W. 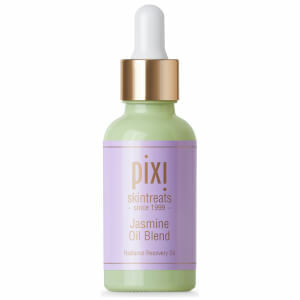 At night apply a thin layer to cleansed, toned skin. Water, Stearic Acid, Glycerin, Dipropylene Glycol, Butylene Glycol Dicaprylate/Dicaprate, Hexyl Laurate, Hydrogenated Polydecene, Methyl Methacrylate Crosspolymer, Glacier Water, Butyrospermum Parkii (Shea) Butter, Squalane, Acrylates/C10-30 Alkyl Acrylate Crosspolymer, Phenoxyethanol, Glyceryl Stearate, PEG-100 Stearate, Ethylhexylglycerin, Triethanolamine, Potassium Hydroxide, Chamomilla Recutita (Matricaria) Flower Extract, Gentiana Lutea Root Extract, Artemisia Absinthium Extract, Mangifera Indica (Mango) Seed Butter, Allantoin, Portulaca Oleracea Extract, Butylene Glycol, Acer Saccharum (Sugar Maple) Extract, Octyldodecanol, Lavandula Angustifolia (Lavender) Oil, Citrus Limon (Lemon) Peel Oil, Citrus Aurantium Dulcis (Orange) Peel Oil, Disodium EDTA, Olea Europaea (Olive) Fruit Oil, Citrus Aurantium Bergamia (Bergamot) Fruit Oil, Pelargonium Graveolens Flower Oil, Pentylene Glycol, 1,2-Hexanediol, Caprylyl Glycol, BHT.